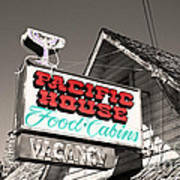 Pacific House by Mitch Shindelbower - 10.000" x 6.625"
Pacific House acrylic print by Mitch Shindelbower. Bring your artwork to life with the stylish lines and added depth of an acrylic print. Your image gets printed directly onto the back of a 1/4" thick sheet of clear acrylic. The high gloss of the acrylic sheet complements the rich colors of any image to produce stunning results. Two different mounting options are available, see below. nice one Mitch, great work on the selective colouring. V/F! 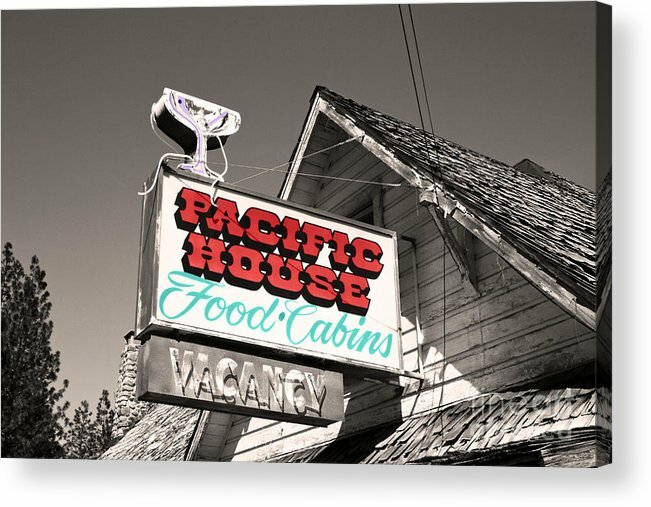 I love old signs, and I love this shot, Mitch! Thanks for sharing the history...I will look for it next time I'm on hwy 50! Thank you Kathy, it is on Hwy 50 just east of Fresh Pond left side of the Hwy if you are heading to Tahoe. I like this, Mitch. And the background that goes with it. Census figures for Pacific House Highway 50, list the population at five. That may be stretching it a bit. 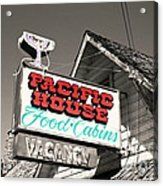 The original Pacific House was a roadside hotel constructed in 1859. Among those who signed the guest register were Horace Greeley, Mark Twain, and Thomas Starr King. 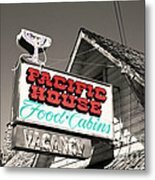 Pacific House was a prominent spot on the old Carson stagecoach route. Greeley wrote of his adventures along the road (Highway 50) in An Overland Journey from New York to San Francisco in the Summer of 1859 (1860) Twain�s Roughing It (1872) contains his rollicking description of a wild stagecoach ride that zoomed past the Pacific House.